Why wait for our Big Blue Door Slam on Thursday at Moto Saloon to hear awesome true stories? 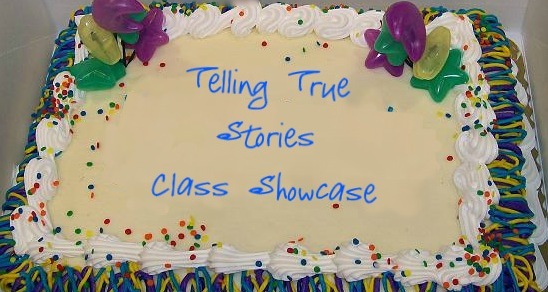 Come hear the graduates of our January-February Telling True Stories class share their tales of suffering, weirdness, and hilarity at Random Row Books on February 20th at 7 pm! That’s tonight! The next Telling True Stories course will begin in April or May. Email bigbluedoor.stories@gmail.com to register or for more info. Don’t want to wait till April to take a writing class? We have a two-session Sketch Writing workshop in March. Check it out.